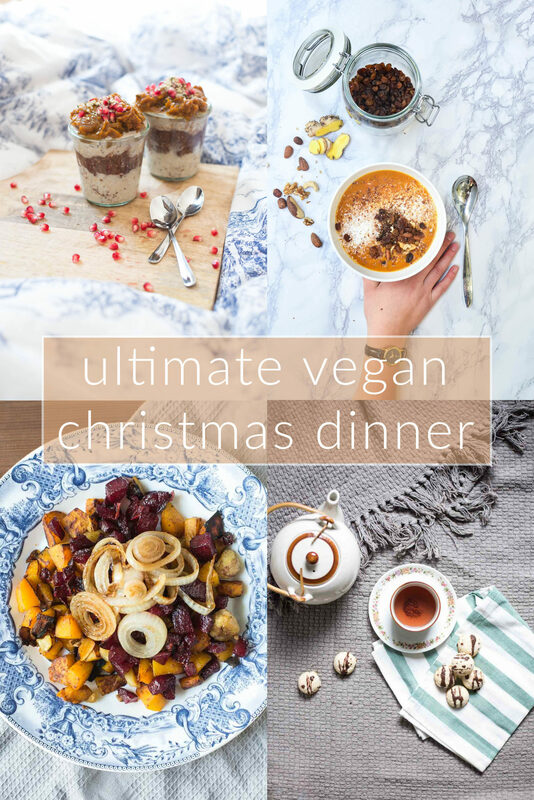 One of the questions I get asked the most at the end of the year is what I wanna eat for Christmas (“what could you actually make for a vegan Christmas dinner??”). As I don’t know what to cook this year yet, I thought an inspirational food post would be really nice. Here is my collection of great festive meal ideas. These Three Warming Soups for Liver Cleanse from THE AWESOME GREEN are perfect for the holidays, one for each of the three! All vegan, all paleo: This Curried Cauliflower Rice Kale Soup from cotter crunch is almost a main dish itself. Last but not least we have a wonderful Creamy Beetroot Soup with Orange, Ginger and Coconut Milk from The Clean Dish. I wouldn’t know where to start cooking, everything looks so good! I love the idea of cauliflower at Christmas Eve such as this Whole roasted cauliflower with garlic and paprika from the Tesco’s recipe section. Just use vegan butter instead of “normal” butter or go with this entirely vegan recipe: Baked Cauliflower with Spicy Lentils by Lauren Caris Cooks. 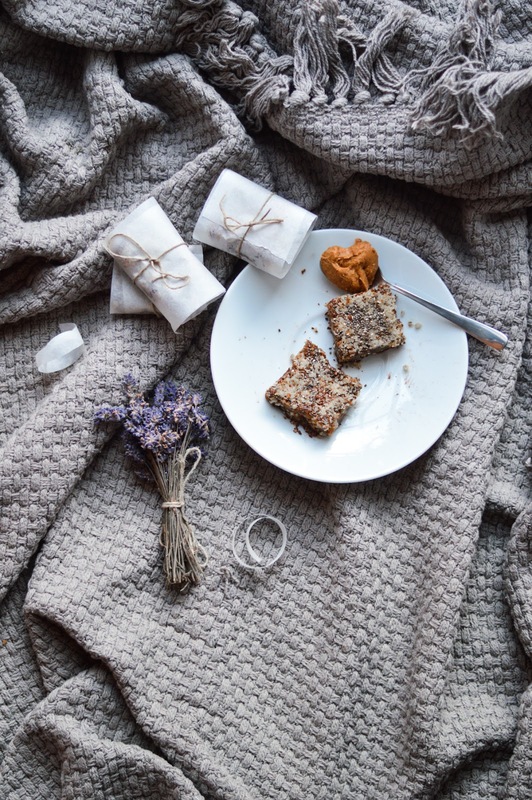 Another great idea Butternut, chestnut & lentil cake by BBC Good Food. 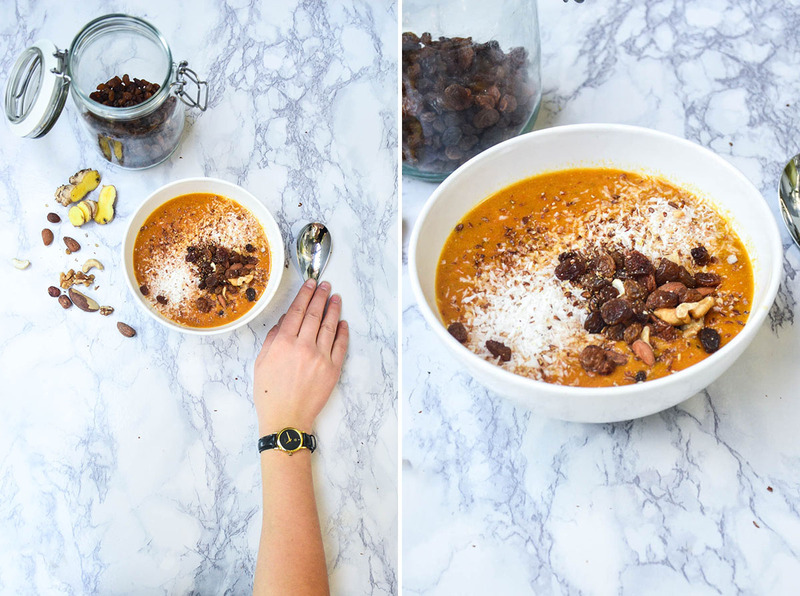 Butternut squash and chestnuts? Damn good combination. Speaking of butternut squash: This Festive Butternut Roast by The Veg Space looks amazing and enough for a whole family. Maybe someone else at your kitchen wants to try a vegan feast this year? Last year I made cornflakes-baked tofu, it was just awesome: Crunchy and yummy. I alredy know it’s gonna be hard to decide on the food this year! For me a real Christmas dinner contains pomegranate seeds. And squash. And Brussels sprouts. And chestnuts. 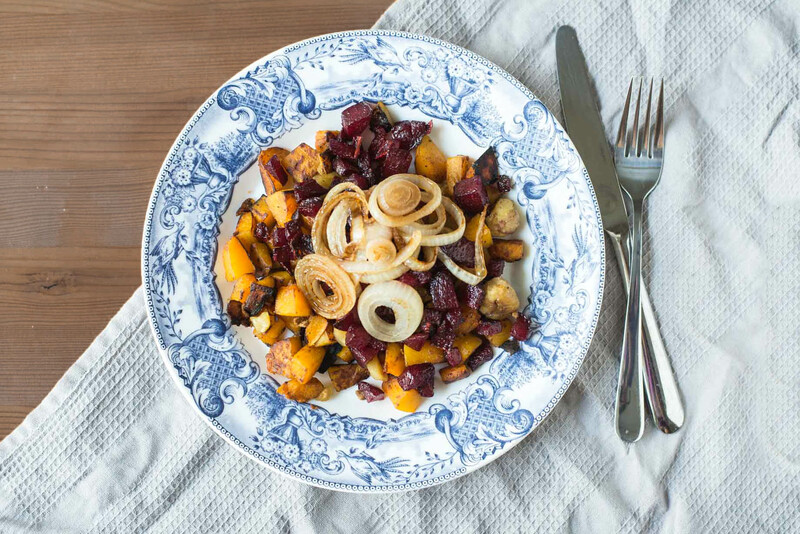 To combine all these goodies in one meal a great combination of sides would be roasted vegetables with caramelized onions (picture – I used beetroot, chestnuts, butternut squash, onions) and Brussels Sprouts with bread crumbs and pomegranate. If I have time to make these before Christmas one more time I’ll definitely post a the recipe! I didn’t plan to make an own cake section but then I stumbled upon my Christmas Banana Bread recipe (from June, haha ;). 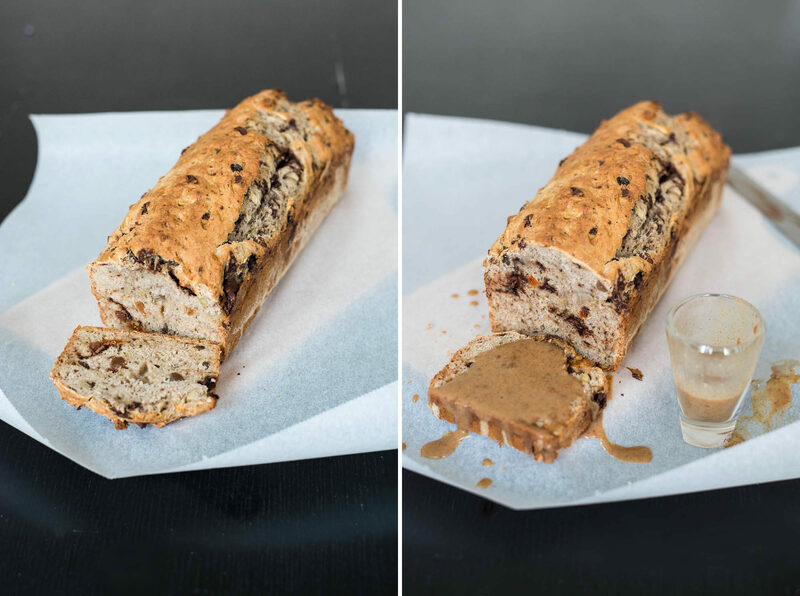 I just love banana bread and this one was especially yummy. 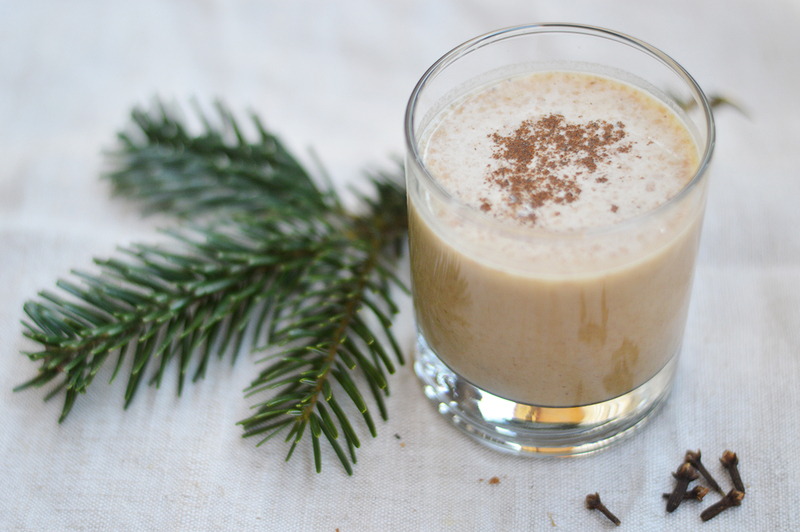 Made it every year since I “developed” it: This Gingerbread Milkeshake! (Picture) Most of the time it was sometime in January with leftover gingerbread which was actually too hard to be eaten. But why not making it out of fresh gingerbread directly on Christmas Eve? Last year’s big hit: My Raw Vegan Gingerbread Squares (picture) and the Vegan Gingerbread from our pop up store at TashLiving. 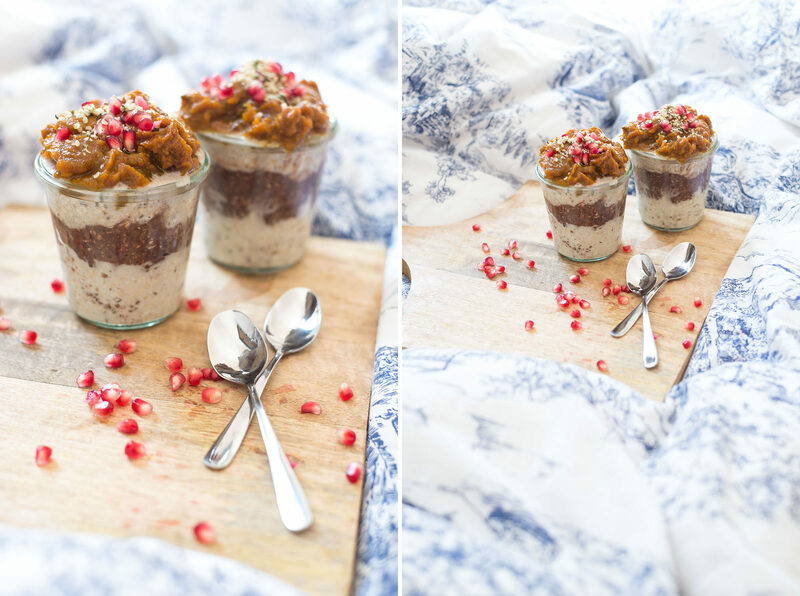 This year I’ve been already enjoying Vegan Pumpkin Gingerbread Energy Balls and Vegan Coconut Kisses – one of my favourites as they are done so quickly. Well, we’ve come to the end of my little recipe collection. I hope there was something for all of you. Enjoy your holidays and have a wonderful Chirstmas Dinner!